Renasense is proud to commence medical tourism in Seychelles with the opening of its world-class Advance Renal Care centre in Seychelles. Based in Mahe, this centre will provide the finest in Renal Care and Dialysis services to all patients who need the best-in-class services, while offering all the luxuries and comfort of summer holidays. Call us to learn more about our services and make reservations. Drop us a line to learn more about our services and make reservations. Hemodialysis Services – complete and intensive kidney dialysis treatment with a state-of-the-art 17 bed facility. Hemodialysis and personal care from a team of highly skilled and experienced BLS and ACLS certified Nurses and Technologists. Frequent consultation throughout the entire kidney dialysis treatment by our Onsite Nephrologists and American Board Certified Nephrologists from the USA and the UK. 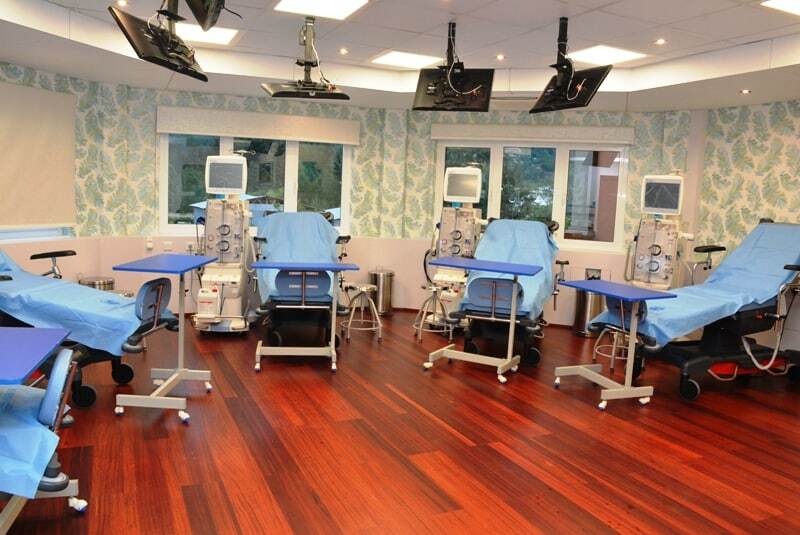 Recreation facilities such as TV and hi-speed Internet access facilities during the hemodialysis sessions. Chauffeur-service for pick up and drop before and after sessions, to keep the feel and atmosphere of summer holidays. One meal per session, prepared by our 5-Star chefs who are specially trained to cook for renal patients. Dialysis Shifts that run from 6am to 8pm, Monday to Saturday. What this means is that Seychelles will now boast of one of the finest Renal Healthcare facilities – with innovative, patient centered Renal Care. All this, with an experience that will make you feel right at home, and make your stay as pleasant as possible, with a variety of facilities and amenities. It will be as if you’re just off on one of those sunny and fun holidays. Call us today for any queries by dialling +2482829717 or sending us an email at mverma@archealthcare.com. We’ll be more than happy to assist you with your questions and provide you a personalised quotation!